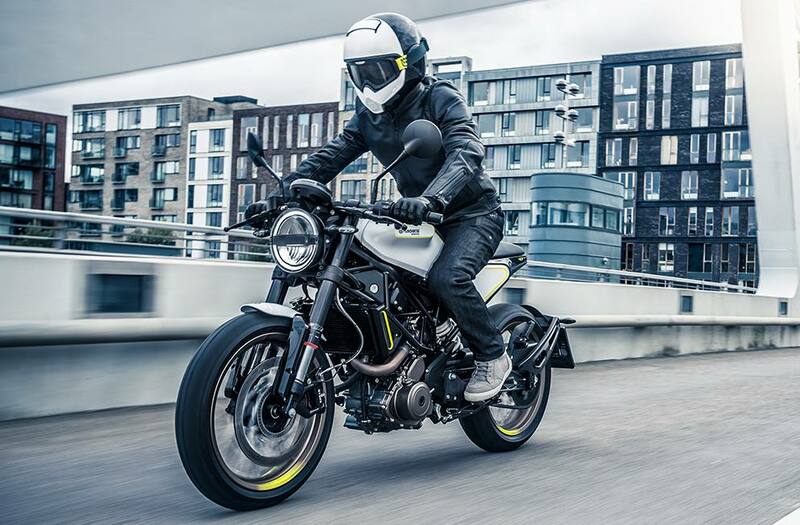 Wheels: 17" bronze anodised spoked wheels with electric yellow VITPILEN detailing are a design highlight of the VITPILEN 401. 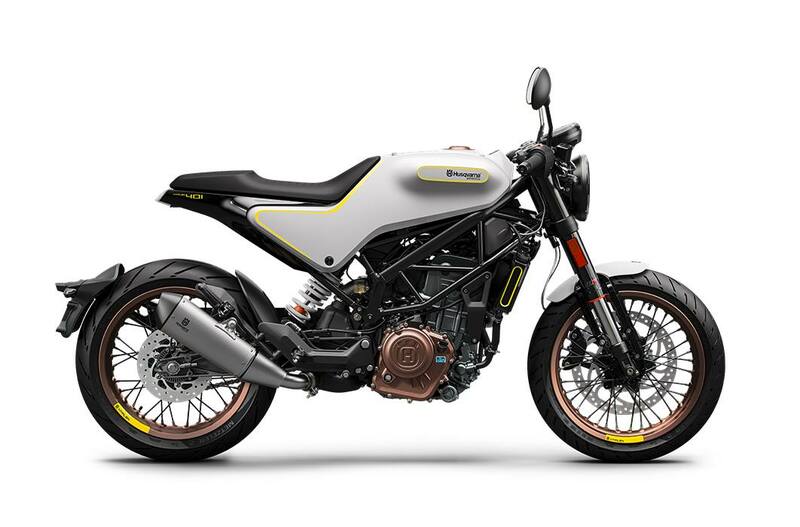 The wheels offer a unique sense of style and are also very robust, offering premium reliability on unpredictable and challenging urban terrain. 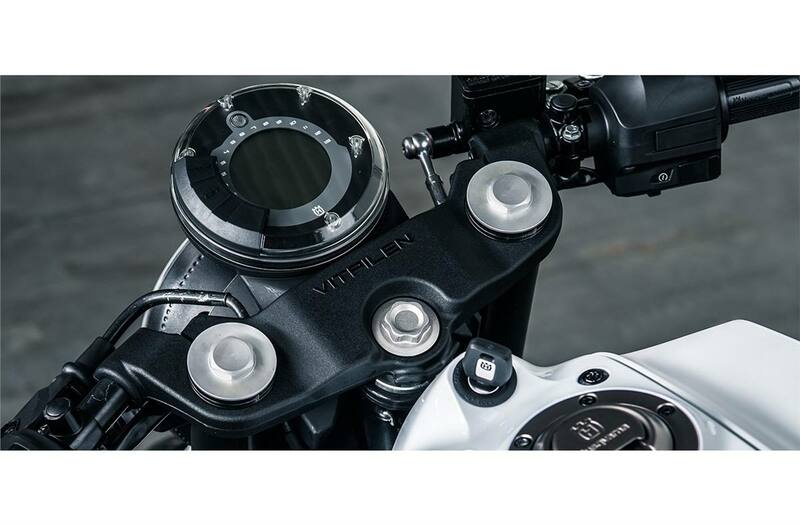 Control Zone & Triple Clamp: Clip-on handlebars attach to forged aluminium triple clamps, a central focal point to the VITPILEN 401 style. In keeping with the minimalistic look and SIMPLE.PROGRESSIVE. 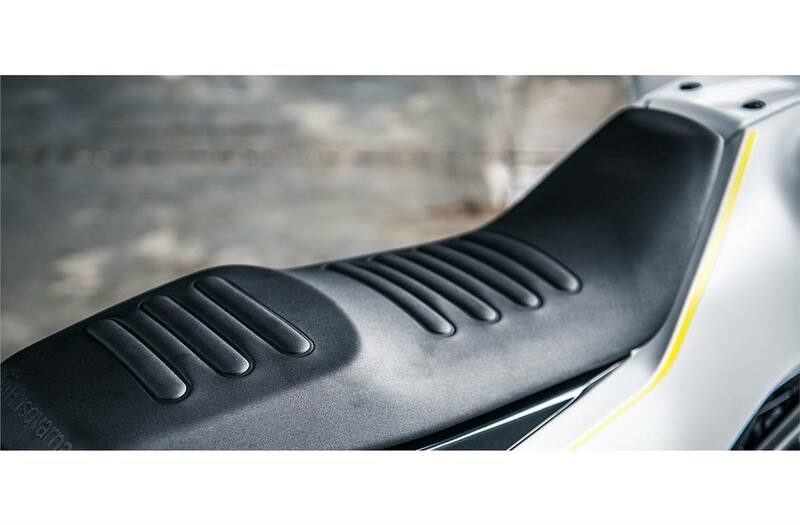 design, the control zone is not obstructed by any fairings and features a digital display unit with the necessary information. 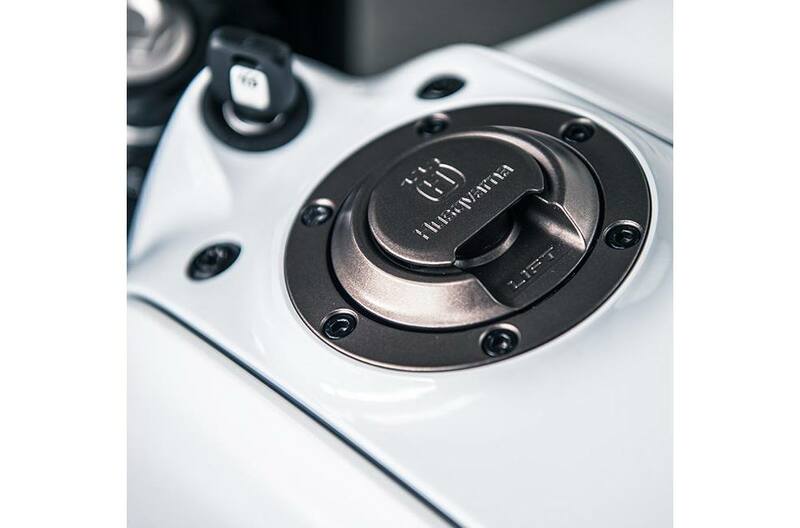 Tank & Filler Cap: The aluminium filler cap proudly displays the Husqvarna Motorcycles logo, like a stamp of premium quality, standing humble but bold on the fuel tank. 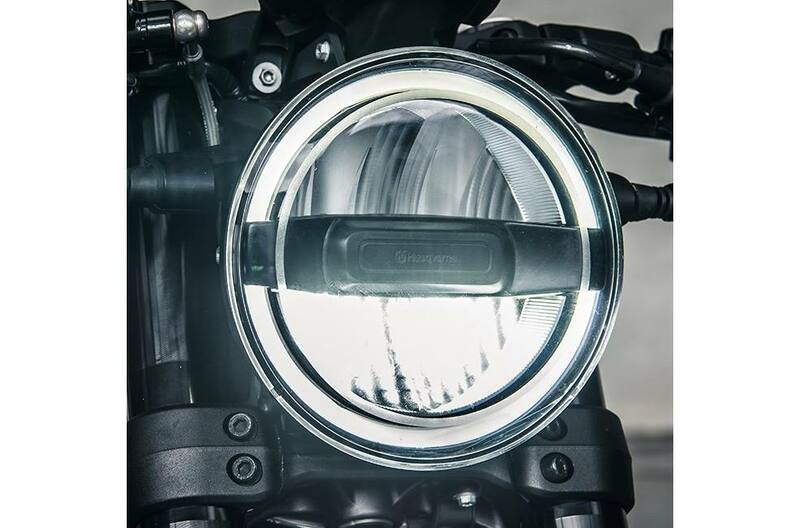 The tank is seamlessly integrated into the design, and is a central focal point of the VITPILEN 401 style, while painted finishes and subtle accents highlight its progressive and unique design.